Having fun doesn’t have to be expensive, as a matter of fact, it doesn’t need to cost that much at all! 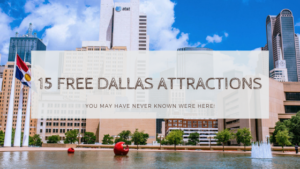 Dallas is an incredible city in that it offers so many wonderful exhibits and features for free! That’s right, you pay zilch, zero, nada to get into or take advantage of these wonderful Dallas treasures. Bonus: Number 15 is perfect if you’re brave enough and want a Halloween adventure! McKinney Avenue Trolley (M-Line Trolley): Hop on the free M-Line Trolley—restored, vintage trolleys that run through Uptown and Downtown. The trolleys stop at several points of interest, including West Village, Hotel Zaza, Shops at The Crescent, Dallas Arts District and more. Free Admission Museums: Who says one needs money to get cultured? The Dallas Museum of Art is free and features more than 22,000 works of art spanning all mediums and time-periods, from ancient civilization to modern art. Other must-see museums include The Samurai Collection at The Ann & Gabriel Barbier-Mueller Museum, Crow Collection of Asian Art, African American Museum and the Museum of Geometric and MADI Art. The Meadows Museum of Art, with one of the largest Spanish art collections outside of Spain, at Southern Methodist University is free on Thursdays after 5 p.m. The Samurai Collection at The Ann & Gabriel Barbier-Mueller Museum: Nestled in a unique location on the second floor of the Saint Ann restaurant and bar, this collection includes Japanese armor, artwork, helmets, masks, horse armor, weaponry and accessories. It’s one of the largest collections of its type in the world. Then afterward, pull up to the bar downstairs for craft beer and charcuterie. 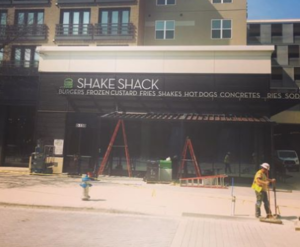 2501 North Harwood St.
Uptown and West Village: Dallas’ popular Uptown district is exploding with new residential, retail and entertainment centers with a variety of elements coming together for an experience that will appeal to all types and tastes. Hop on the free M-Line Trolley and explore the sights of one of the city’s hippest neighborhoods. The West Village shopping center is the unofficial epicenter; start there, or sightsee historic homes off McKinney Avenue. 3699 McKinney Ave.
Flagship Neiman Marcus: Originally opened in 1907 and permanently moved to its current location on the corner of Main and Ervay streets in 1914, the Neiman Marcus flagship store is a must-see for any sartorialist. Stroll the street and window shop, or venture inside for luxury goodies. 214-741-6911, 1618 Main St.
NorthPark Center’s art collection and 1.4-acre CenterPark: NorthPark Center is Dallas’ premier shopping and dining favorite and a not-to-be missed destination for art enthusiasts. The art collection features major works by renowned artists including Andy Warhol, Frank Stella, Joel Shapiro, Jim Dine, Jonathan Borofsky, James Rosenquist, Antony Gormley, Barry Flanagan and Beverly Pepper, among others. Model trains at Children’s Medical Center of Dallas: Housed in the lobby of the hospital, this is the largest permanent model train display in the country. Eight trains run simultaneously at the free exhibit that’s open 6 a.m.-10 p.m. daily. 1935 Medical District Dr.
Dallas Farmers Market: Seven days a week, local farmers display and sell a mouth-watering selection of fresh fruit and vegetables, herbs, locally purveyed honey and nuts, and plants at the Dallas Farmers Market. It’s a perfect place for a leisurely stroll. Also check out The Shed, where specialty products are offered, or watch a cooking demonstration. 1010 S. Pearl Expy. Sports connection: Dallas has six professional sports teams: Basketball’s Dallas Mavericks and the new arrival to Dallas – Dallas Wings, football’s Dallas Cowboys, baseball’s Texas Rangers, hockey’s Dallas Stars and soccer’s FC Dallas. This means that at any given time in any given local sports bar, visitors will find sports fans cheering for the home team. 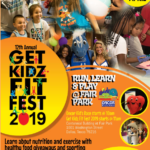 Join the fun at one of the city’s many sports hangouts. Haunted Dallas: Every city has supposed haunted places, and armed with a little historical knowledge and a good camera, visitors may just find something unexpected at these places around town (please note: these venues are only allegedly haunted, and may not be free admission to enter), including: Sons of Hermann Hall in Deep Ellum, Historic West End, Millermore Mansion at Old City Park, The Adolphus Hotel, Majestic Theatre and White Rock Lake. It is our American sport and the new NFL season is upon us. We wondered though, how to put into words why football is so important to us here in the USA? We came upon an article from Sports Illustrated where a reporter asked a high school football coach this very question. Every good football coach knows you can be the greatest mind in the world when it comes to strategy, but if you don’t train your troops, it’s all a waste. In football, we are training the troops. We are teaching kids traits desired by many professions, including the military. I took my team on a trip to West Point a few years ago. I wasn’t surprised to find out that every freshman cadet was required to play on an intramural football team. Because in football, we are teaching kids hustle, determination, teamwork, effort, discipline, intelligence and that hard work pays off. If the high school football coach doesn’t teach this, who will? And if a coach is trying to teach these essential life lessons through brutality, punishment, and negative reinforcement, it just means the coach is a bad teacher. Ask any rookie varsity football player who goes against upperclassmen every day at practice in an effort to move up the competitive ladder. Look at the ones who stay, learn, and put in the work to develop their technique—and put in the work in the classroom to remain academically eligible. Other sports promote this, but the combination of teamwork and toughness in football is second to none. These are the essential qualities to being successful in life; the intangibles are everything. 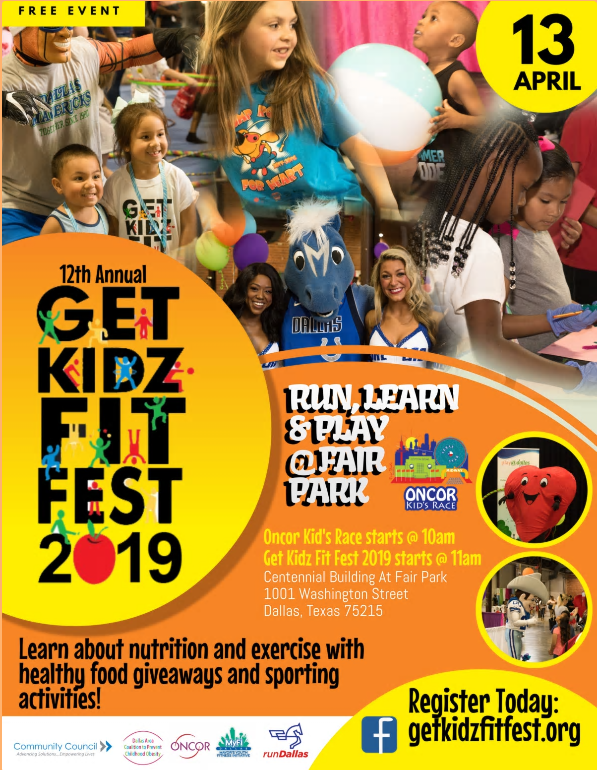 We are teaching kids how to handle pressure and overcome adversity through football. This coach seemed to sum it up pretty well and in the spirit of the good sportsmanship, we have below NFL schedules from printableteamschedules.com for you to search and find your team’s game schedule for this season. Then to really get the party going, below that is a video recipe of a kickoff cake from the great folks at howtocakeit.com. What better way to show off your team spirit than by making a football cake?! We can’t think of one and we suggest that you try too hard not to think of one either. 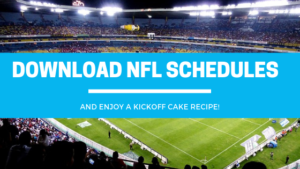 Let football day be your cheat day and imbibe in the joy that is a delicious slice of cake! This is no ordinary cake recipe. This recipe from Yolanda Gampp from “How To Cake It” shows you how to make a super- easy, super-realistic kick-off cake. Happy 241st Birthday America! Wow you look great for your age! Can you believe it? We’re turning 241 this year! Where does the time go? Are we what our forbearers pictured when they declared their independence from Britain and formed the original colonies? As summer begins in America in 2018 and we take a look around at the behaviors of most Americans, what are our priorities? Looking at what we do, we think, is one way to answer that question. Think of how we view the beginning of summer. Summer actually began on June 21st, but somehow the summer season doesn’t feel quite like it has arrived until the fourth of July decorations have come out around the neighborhood homes, and businesses display their flags, and the Independence Day parade marches through Main street. Independence day is for so many people around the nation, a big part of their identity. Independence Day is a patriotic holiday for celebrating the positive aspects of the United States. Many politicians appear at public events to show their support for the history, heritage, and people of their country. Above all, people in the United States express and give thanks for the freedom and liberties fought by the first generation of many of today’s Americans. The Statue of Liberty is a national monument that is associated with Independence Day. This pride, this patriotic identity that makes July 4th so important and precious to us, we believe would make our ancestors very, very proud. 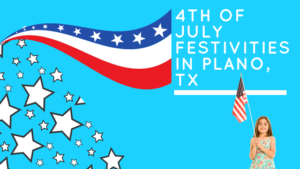 We have compiled a list of some of the festivities happening around the Plano area. Just click on the picture of the little girl proudly waving her flag right here and you’ll be taken to the page of events. 1 – On July 4, 1776, the American colonies were declared free and independent States from Great Britain and its king. 2 – Did you know it was actually on July 2, 1776, that the Declaration of Independence began? It started with a letter to Britain’s King George to explain why the Continental Congress voted to declare America’s independence. 3 – It was on July 4, that the final wording of the declaration was agreed. 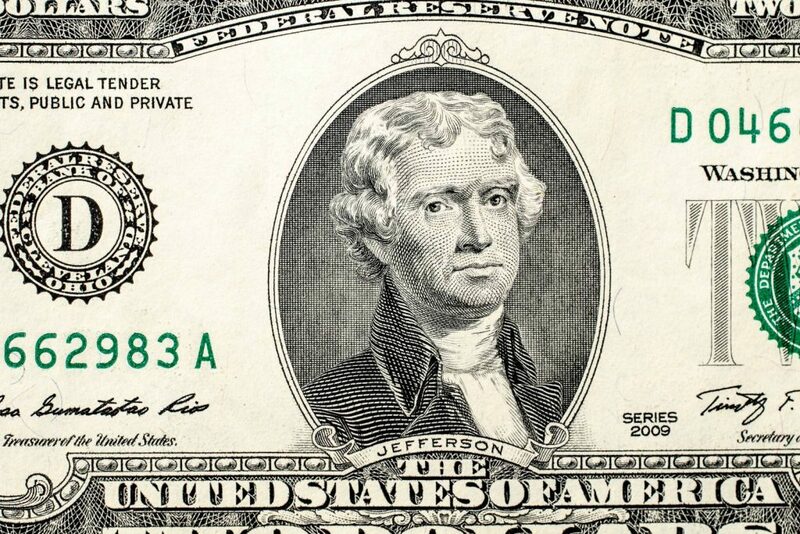 5 – Jefferson later served as the third President of America from 1801 to 1809. 6 – Coincidentally, Jefferson died on July 4, 1826. 7 – Strangely, two other US presidents, John Adams and James Monroe, have also died on July 4. 8 – Meanwhile, the 30th president of America, Calvin Coolidge, was born on July 4, 1872. 9 – The first Independence Day was celebrated on July 8, 1776, in Philadelphia and the official signing took place on August 2. 10 – Every 4th of July the Liberty Bell in Philadelphia is tapped – although not actually rung – 13 times in honour of the original 13 American colonies. 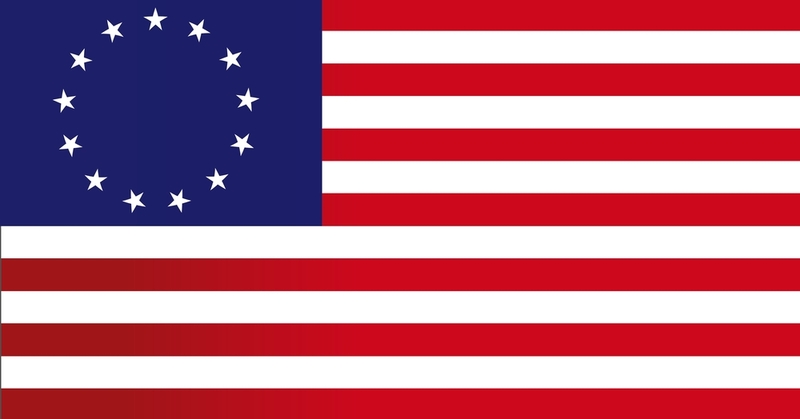 11 – The stars on the original American flag were in a circle so all the Colonies would appear equal. 12 – The White House celebrated Independence Day for the first time in 1801. 13 – America’s oldest continuous Independence Day celebration is the 4th of July Parade in Bristol on Rhode Island. This year it will celebrate its 232nd year. 14 – The first Independence Day was celebrated by around 2.5 million people compared to more than 316 million people today. 15 – Almost 100 years after the Declaration of Independence, in 1870, July 4 was made an official holiday by Congress. 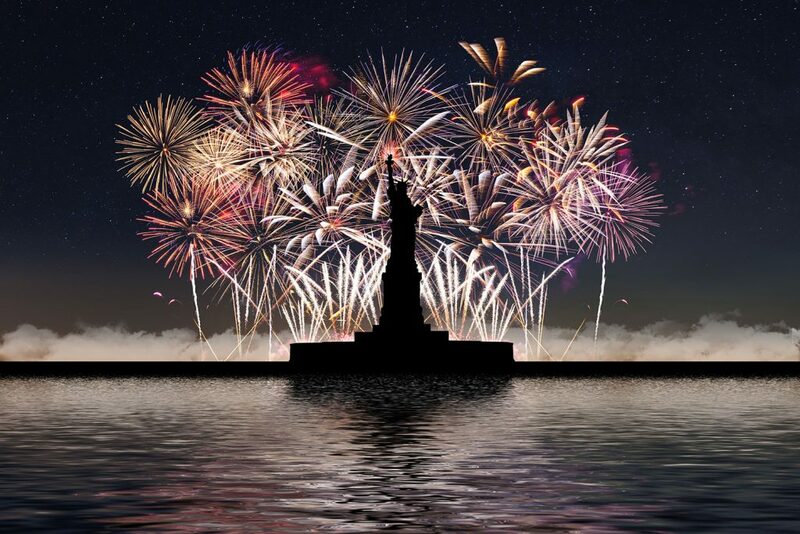 16 – Fireworks are a major part of the celebrations because the first Independence Day celebration on July 4, 1777, saw Americans gathering to watch as the sky illuminated to celebrate the new nation. Fireworks at the statue of liberty. 17 – Americans take their July 4 celebrations seriously. On this day, some 150 million hot dogs will be eaten! 18 – Benjamin Franklin proposed the turkey as the national bird but he was overruled by John Adams and Thomas Jefferson, who recommended the bald eagle. What happened on Independence Day? The Declaration of Independence is often read on Independence Day. We’ve provided you with the full and final declaration, the italicized words or phrases were omitted in the final draft. Bracketed words or phrases were added to the original draft and appear in the final draft. The signatures at the end of the declaration show their sizes as they were written in inches. WE hold these Truths to be self-evident: that all Men are created equal; that they are endowed by their creator with inherent and* [certain] inalienable rights; that among these are life, liberty, & the pursuit of happiness: that to secure these rights, governments are instituted among men, deriving their just powers from the consent of the governed; that whenever any form of government becomes destructive of these ends, it is the right of the people to alter or abolish it, & to institute new government, laying its foundation on such principles, & organizing its powers in such form, as to them shall seem most likely to effect their safety & happiness. Prudence indeed will dictate that governments long established should not be changed for light & transient causes; and accordingly all experience hath shown that mankind are more disposed to suffer while evils are sufferable, than to right themselves by abolishing the forms to which they are accustomed. But when a long train of abuses & usurpations begun at a distinguished period and pursuing invariably the same object, evinces a design to reduce them under absolute despotism, it is their right, it is their duty to throw off such government, & to provide new guards for their future security. Such has been the patient sufferance of these colonies; & such is now the necessity which constrains them to expunge [alter] their former systems of government. The history of the present king of Great Britain is a history of unremitting [repeated] injuries & usurpations, among which appears no solitary fact to contradict the uniform tenor of the rest but all have [all having]in direct object the establishment of an absolute tyranny over these states. To prove this let facts be submitted to a candid world for the truth of which we pledge a faith yet unsullied by falsehood. HE has forbidden his governors to pass laws of immediate & pressing importance unless suspended in their operation till his assent should be obtained; & when so suspended, he has utterly neglected to attend to them. HE has refused to pass other laws for the accommodation of large districts of people unless those people would relinquish the right of representation in the legislature, a right inestimable to them, & formidable to tyrants only. HE has kept among us in times of peace standing armies and ships of warwithout the consent of our legislatures. He has [excited domestic insurrection among us, & has] endeavored to bring on the inhabitants of our frontiers the merciless Indian savages, whose known rule of warfare is an undistinguished destruction of all ages, sexes, & conditions of existence. He has waged cruel war against human nature itself, violating it’s most sacred rights of life and liberty in the persons of a distant people who never offended him, captivating & carrying them into slavery in another hemisphere, or to incur miserable death in their transportation thither. This piratical warfare, the opprobrium of INFIDEL Powers, is the warfare of the CHRISTIAN king of Great Britain. Determined to keep open a market where MEN should be bought & sold, he has prostituted his negative for suppressing every legislative attempt to prohibit or to restrain this execrable commerce. And that this assemblage of horrors might want no fact of distinguished die, he is now exciting those very people to rise in arms among us, and to purchase that liberty of which he has deprived them, by murdering the people on whom he also obtruded them: thus paying off former crimes committed against the LIBERTIES of one people, with crimes which he urges them to commit against the LIVES of another. 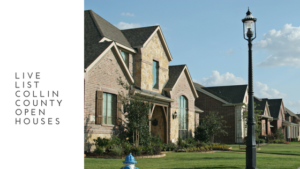 Housing market – still the best or a bust for Plano? 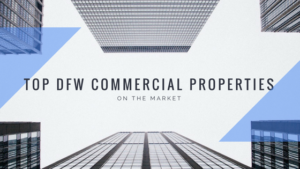 Dallas, Frisco, and Plano Texas are making headlines these days for booming housing markets, new and incredible mixed-use developments rising up and for the major corporations moving their headquarters in and calling these cities home. These headlines are individually fantastic but to look at them as a whole would mean one could only calculate a very strong and prosperous area with no worries on its housing front, but is this true? 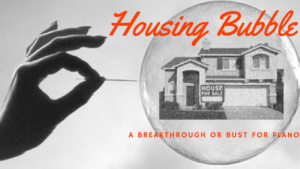 Are we at our best or headed for a bubble? When talking about trends and data let’s focus on Plano for a moment. 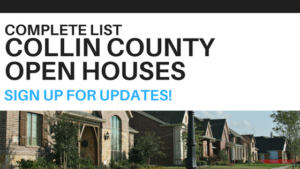 Below is a graph with live data of new listings of single-family homes in the general Plano area (on a circumferenced map). What do you observe about this graph when you look at it? 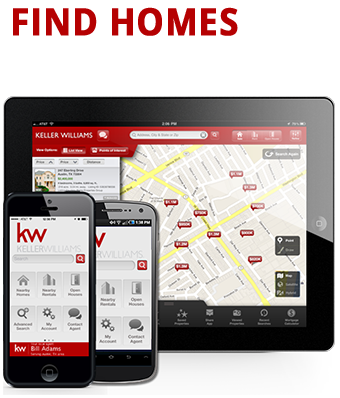 Have you noticed that the four-year trend is nearly the same for new listings every year? When you look at the Dallas and Frisco graphs, they’re very similar, Many analysts who are concerned about the Dallas, Plano, Frisco and surround area housing markets and their stability cite what CoreLogic chief economist Frank Nothaft has referred to as “brisk appreciation” in the market based on a booming population and increasingly tight housing inventory. The key to identifying a potential bubble forming is to determine the source of these factors and others, and then evaluate whether or not the market is actually in any immediate danger. Strictly by the numbers, Dallas and surrounding markets do represent a greater risk than some other regional markets simply because they have gone so high so quickly. In the event that a sudden economic shift occurs – say, mortgage rates rise dramatically or a main source of employment and population growth dries up – then the Dallas area markets would certainly take a harder hit than one that has been appreciating more slowly and steadily over time. The real question: is that sudden, negative economic shift particularly likely to happen and, if so, when? Is there a shift coming? The Dallas-Fort Worth area ranked second in a national forecast of sales and price growth in 2018 by Realtor.com. Sales this year are predicted to growth 6 percent while prices are expected to rise 5.57 percent. Only Las Vegas ranked higher, with sales projected at 4.9 percent and price growth at 6.9 percent. Growth in price and sales is linked to demand driven by a population boom that has brought about 100,000 newcomers to the Dallas-Fort Worth area during the past few years, according to the U.S. Census Bureau. The influx, the result of a healthy economy that added 100,400 new jobs to the region in a year, has increased demand for housing at a time when inventory was lagging and builders struggled to deliver quickly. 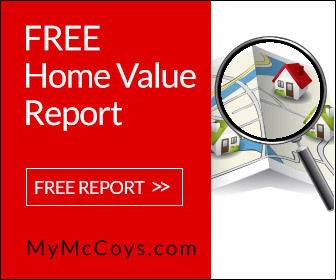 The result has been home prices that have escalated to record levels. The median sale price for a house in Dallas-Fort Worth rose 6.31 percent from $236,100 in November 2016 to $251,000 in November 2017, according to the latest data from the Texas A&M Real Estate Center. The median sale price rose 57.8 percent in the past five years, up from $159,000 in November 2012 to $251,000 in November 2017, according to the real estate center. Sales volume for single-family homes increased 5.51 percent between November 2016 and the same month in 2017. Year-to-date sales through November 2017 reached 93,812 for a value of $28.9 billion. Despite some fluctuations in the market, demand and sales have continued to climb at a feverish pace for more than two years and show no signs of stopping. ly low tax burden and, more importantly for investors, a flexible labor market. Flexible labor not only indicates that a market is highly adaptable, which is a positive trait whether a market is flourishing or recovering, but also that the market is characterized by corporations and industries that quickly respond to changes in the economic climate in order to remain profitable and that the labor force is willing and able to freely move between jobs as the economy dictates. As far as Dallas goes, this flexible characteristic indicates that the threat of a negative economic shift – say, falling oil prices – is mitigated as far as fallout goes because the labor force is highly adaptable and is likely to remain active and engaged despite a downturn in any one given industry. In the case of falling oil prices, that particular example has clearly played out as many economists warned that Texas as a whole and its major metros, in particular, would likely suffer when oil prices fell. While the Dallas Fed predicted this past March that Texas job growth and, by extension, home sales volumes and home prices, would slow over the course of this year in response to falling oil prices, at present, home sales and employment numbers are stronger than they were a year ago when oil prices were hovering around $100 a barrel. So does this mean that the Dallas housing market is impervious to oil price fluctuations? In an optimistic world, maybe, but successful investors seldom err on the side of optimism. Instead, it would probably be safer to say that falling oil prices have not been felt in the area yet and move on to other indicators that investors and economists are watching. Since population growth depends to a great extent on employment, the jobs market is likely where the first signs of trouble for Dallas will appear, should they do so. According to the U.S. Bureau of Labor Statistics, Dallas employment has risen 3.7 percent this year so far, well above the national increase of 2.1 percent. In fact, the city ranked first in the country for job growth and third in the number of jobs added (more than 3.3. million in the past 12 months). We haven’t spoken much about oil in our posts, but we have focused a lot on the how the job market affects the housing market. The two really live hand in hand. While investors have to err on the side of caution, one cannot but help and be amazed at how the Dallas area, especially Plano has consistently ranked highest and best on many different national levels. Interestingly, although oil-sector jobs did decline during that time period as many economists expected, other professions added enough jobs that they counter-balanced the losses. It is noteworthy that manufacturing and information jobs both are on the decline in the area. This could represent a potential problem in coming months since information jobs tend to create many other jobs and the loss of this type of job could affect job growth over time, but the decline likely simply represents a heightened environment of competition rather than a seriously problematic trend since most major metro areas are presently competing for these individuals and Texas, in particular, is a hotbed of competition for these professionals. Over time, however, if the information sector’s population continues to decline in Dallas, the market could certainly soften. The final thing real estate investors should watch in the Dallas area is the new-construction trend. Compared to the national housing boom in the early 2000’s, builders are keeping their cool in Dallas. However, with would-be homeowners camping out, literally, in hopes of bidding high and early on the new homes of their choice, things could spiral out of control quickly. Adding to the potential for overbuilding, apartment renters are getting slammed with record rent increases, which is driving more renters toward homeownership. That is definitely good news for builders and investors today, but keep a close watch on this trend. The second quarter of 2015 saw new home starts in the Dallas area up nearly 10 percent year-over-year, many of those homes are priced above the present median home price (around $200,000), an issue which is creating an inventory crunch at the bottom tier of the market and setting up a scenario in which the upper tiers are overstocked and home values could fall. This is a tricky price point for people who may be selling their home for the first time. 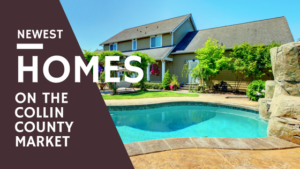 Pricing their home right in order to move up to next-level property is imperative in order to take advantage of the lower mortgage rates before they rise. Interest rates have been on the rise and there is no sign of them stopping. Even a recent respite from rising interest rates turned out to be short-lived as mortgage rates edged up again in Bankrate’s latest weekly survey of national mortgage lenders. 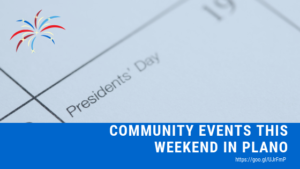 The benchmark 30-year, fixed rate rose to 4.71 percent, up 1 basis point from the previous week, according to Bankrate’s weekly survey of large mortgage lenders for the week ending June 27. A year ago, the rate was 4.07 percent. Meanwhile, mortgage applications fell 4.9 percent for the week after rallying the previous week. Refinance applications reversed course from a week earlier, falling 4 percent, the MBA reported. Purchase applications decreased 6 percent. The benchmark 30-year fixed-rate mortgage rose this week to 4.71 percent from 4.70 percent, according to Bankrate’s weekly survey of large lenders. A year ago, it was 4.07 percent. Four weeks ago, the rate was 4.64 percent. The 30-year fixed-rate average for this week is 0.09 percentage points below the 52-week high of 4.80 percent and is 0.76 percentage points greater than the 52-week low of 3.95 percent. Over the past 52 weeks, the 30-year fixed has averaged 4.31 percent. This week’s rate is 0.40 percentage points higher than the 52-week average. The 15-year fixed-rate mortgage fell to 4.13 percent from 4.15 percent. The 5/1 adjustable-rate mortgage was flat at 4.12 percent. The 30-year fixed-rate jumbo mortgage fell to 4.62 percent from 4.63 percent. At the current 30-year fixed rate, you’ll pay $519.24 each month for every $100,000 you borrow, up from $518.64 last week. At the current 15-year fixed rate, you’ll pay $746.22 each month for every $100,000 you borrow, down from $747.23 last week. At the current 5/1 ARM rate, you’ll pay $484.36 each month for every $100,000 you borrow, unchanged from last week. The Dallas Fort-Worth Area housing market is in a pretty healthy condition, so far. We’re on the right course to stay that way as long as certain factors adjust slightly in our favor. There are some of these factors that are under our control and some that aren’t. Therefore, as long as a Dallas investor watches the market closely for signs of softening and is careful to prepare multiple exit strategies for each deal, that individual should be able to turn a nice real estate investing profit in the Dallas market for some time to come. It would be a shame to forego thriving in such a dynamic and diverse housing market out of fear of a bubble that is likely to materialize slowly or perhaps not at all. The biggest factor that will work against you personally, however, isn’t the market, it’s stalling. Stalling can cause you to lose the equity you thought you had in your home or get your priced out of the neighborhood you thought you get into when mortgage rates rise. Knowing your target time-frame is key to your success as a home buyer, seller or investor. That’s a personal conversation, however, and one we’d be happy to have with you. Contact us to set up a time and learn how timing could save you tens of thousands of dollars.